Our vintage themed custom furniture helps bring that rustic appeal and character to any space you choose. 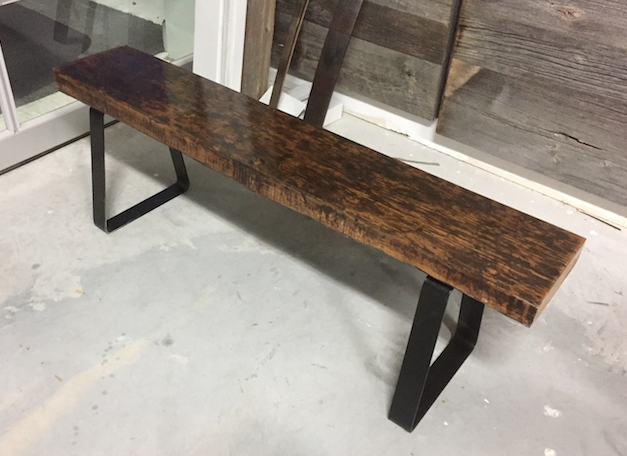 We build reclaimed material based tables in any shape and size you desire, with the option of either custom metal legs or true reclaimed timbers for legs, the choice is all yours! Simply put, if you can find a picture of what you’re dreaming of, we can build it. Contact us today to talk about rental options on our barn doors and whiskey barrels, as well as anything else you may need to make your event truly one to remember!